Children’s Festival: Held on the first week of June and organized by the Community Council. Christmas Event: It is organized by the Youth Centre with the support of the Community Council. Easter Events: They are organized by the Youth Centre with the support of the Community Council and they last for three days. It is noteworthy that the Community Council, apart from the aforementioned cultural events, organizes a blood donation twice a year. “Honey Pie” Annual Festival organized by the Youth Centre. National Remembrance Days organized by the National Association. Labour Day on May 1 organised by the People’s Associations. 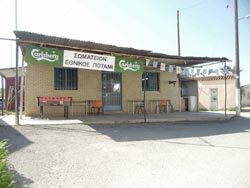 The Youth Centre of Potami was established in 1990 and aims at contributing to the progress and development of Potami by making contributions in various fields, as well as to bring Potami closer to its expatriates. The centre organizes excursions and various other events, such as carnival parties, Easter games, movie showings and festivals. 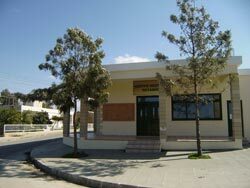 assumption of common activities in cooperation with other Youth Centres of the district and of the entire island of Cyprus. The National Association (“Ethnikos Syllogos” in Greek) was established in 1976 having as a vision to promote the athletic spirit, tradition and culture and to develop the Greek- Christian ideals. The Association’s objective is to hold speeches and lectures regarding environmental and social issues, such as drugs, and to develop road consciousness. Additionally, the association organizes events dedicated to the youth of the villages, as well as events to honour remembrance days. It must also be mentioned that the National Association cooperates with other Organised Parties and in particularly with the “Educational Association of Astromeritis” and the club “Anaggenisis Nikitariou”. The Peoples’ Associations “Potami” has been active since 2005 and has set as its primary concern to keep the youth of the community become involved in sports, culture and generally in activities which keep them away from drugs. The Associations hold a Youth Festival, artistic nights, as well as speeches about drugs, whereas at the same time they cooperate with the Peoples’ Associations of the communities of Akaki and Nikitari, as well as with “Omonoia Peristeronas” and “PEO of Nicosia”. The Women’s Charity of the Lowland Holy Bishopric of Morfou was established in 2000. The Association’s objective was charity, moral and concrete support towards our fellow beings. The charitable work of the Association is supported through events or donations made by friends of the Association. In particular, the Charity organizes journeys both in Cyprus and abroad, charitable tea parties, theatrical performances, as well as bazaars at the communities’ fairs. It must be mentioned that all the communities of the Bishopric region of Morfou participate in the Charity. 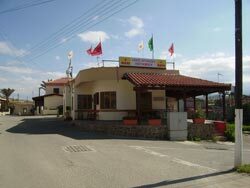 The mountainous department is headquartered at the village of Evrychou, whereas the lowland department at the village of Peristerona. The Board of Directors is elected every two years and each community is represented by one or two persons. Our community is represented by Sofia Ioannidou. What is noteworthy is that the work of the Charity is supported by the Metropolitan Bishop of Morfou and his associates, and that the Charity also cooperates with the state Welfare Office and with all the organized parties of the Bishopric region of Morfou.